Aging in place design is not something a lot of people want to think about. I get that, since I know no one really likes to talk about getting older. That being said, I think it is important you know that aging in place is an idea that holds so much promise; it allows you to exercise more control over your life and help you keep living your life on your terms. In short, aging in place is nothing more than a phrase that means you opt to stay in the home of your choice for as long as you are able, and get any help you need along the way. 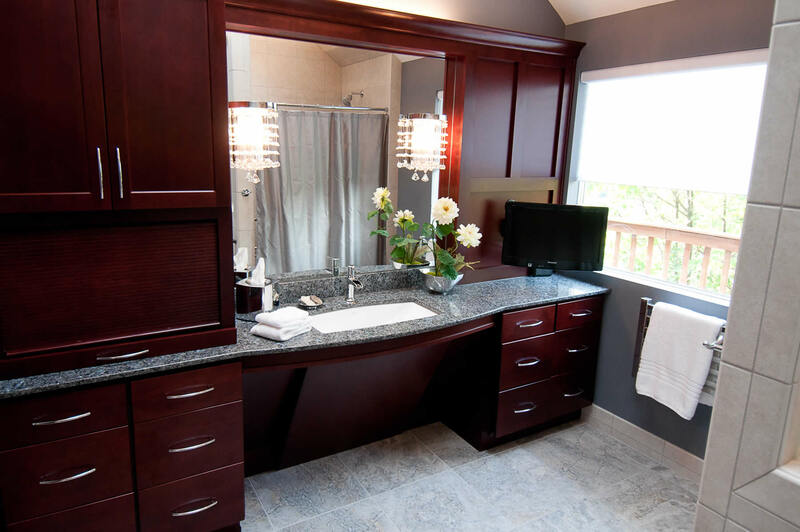 As a professional home remodeler who specializes in accessible remodeling, my focus is on your home. Specifically, how to help you prepare for what the future may hold by making your home easier to live in. For our customers looking to ensure they get to spend many happy, healthy years at home, we leverage aging in place design. Which is designing a home so that it functions well for people later in life. That can mean a lot of things depending on your home. What we typically do is try to focus on the areas of your home that will affect your daily life the most. This means when we talk about your home, we’ll automatically prioritize the most important areas, first. Then, we can add in other things based on what you want or need. In your bathroom, it may mean installing balance bars. For your bedroom, it could mean reconfiguring it for more open space. In the kitchen, that you have easier access to appliances or work areas. For exterior doors, that you have at least one with a no-step entry (front, side, back or garage interior door). In the laundry area, that you can have easier access to the washer and dryer. Each room is different (as are you), which means we may be addressing similar idea, but we’ll be customizing it for your home. We’ve had many satisfied customers in the Cincinnati area over the years who remodeled their home into a ‘forever home’. One in particular is an awar-winning project in Cincinnati. DeVol Design.Build.Remodel received the Home for Life award from the National Association of Home Builders for this project. To the right you’ll see a photo of the finished bathroom. If you’d like to see more of the work that we did for this customer, just click here to learn more and see more project pictures. Jeff DeVol is a Certified Aging in Place Specialist who has a career-long commitment to Universal Design, accessibility and improving the lives of his neighbors and customers in the greater Cincinnati, OH area.